NEW ORLEANS — Environmental groups and women from Alaska and Louisiana say the Environmental Protection Agency has dragged its heels on issuing rules for oil spill dispersants, and they’re ready to sue to demand them. They say dispersants such as Corexit, used during the Exxon Valdez and BP oil spills, were more toxic to people and the environment than oil alone but, nearly four years after taking public comments about such rules, the agency hasn't acted. "We depend on feeding our families from the ocean. We need the ocean to be a clean environment for our animals," Rosemary Ahtuangaruak, a plaintiff from Alaska, said in a telephone interview. With the Trump administration considering an oil and gas lease sale in Alaska's Beaufort Sea, she said, people fear both spills and dispersants. The clinic is representing Ahtuangaruak, who lives in the Inupiat village of Nuiqsut; Kindra Arnesen of Buras, Louisiana; Alaska Community Action on Toxics; Cook Inletkeeper, also from Alaska; and Earth Island Institute’s ALERT project, which is based in Berkeley. Arnesen said the 2010 BP Deepwater Horizon spill off Louisiana severely damaged her family's commercial fishing business. Before the spill, she said, at times there were "acres and acres" of baitfish and rafts of larger fish. "After the spill those disappeared. It was like going through a water desert," she said. She also blames it for her family's migraines, respiratory problems and rashes so deep they caused open wounds and left scars. She said their son seems to have recovered completely, but her husband still has major problems and she and her daughter are still living with lower levels of illness. She said dispersants break up oil so it's not easily seen. "To my mind, it's used to create a situation where it's out of sight, out of mind, but not out of the way," she said. 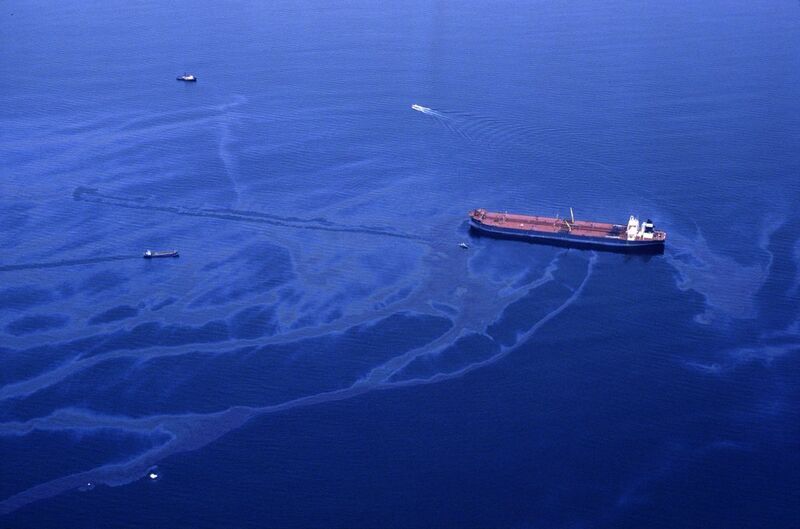 The EPA's oil spill response guidelines haven't been updated since 1994 to reflect research on dispersant effects after the Exxon Valdez broke open on rocks in Prince William Sound in 1989 and BP's Gulf of Mexico spill, according to the notice of intent to sue. "Given the history of offshore oil drilling, it is simply a matter of when - not if - a devastating oil spill will occur," the letter states. "That has been delayed due to the government shutdown, and we're still waiting for a response," he said. He said revision of oil spill guidelines is listed as a long-term action on "the unified agenda, a semi-yearly kind of laundry list that EPA's working on." But that's nothing new, he said: "It's been there in various forms since 2001, even before the rulemaking was put into play." The current EPA rules let companies "essentially do whatever they want when it comes to dispersant," Siddoway said. "Right now we can't make a challenge to substance ... because the rule is still pending," he said. Associated Press reporter Dan Joling contributed from Anchorage.